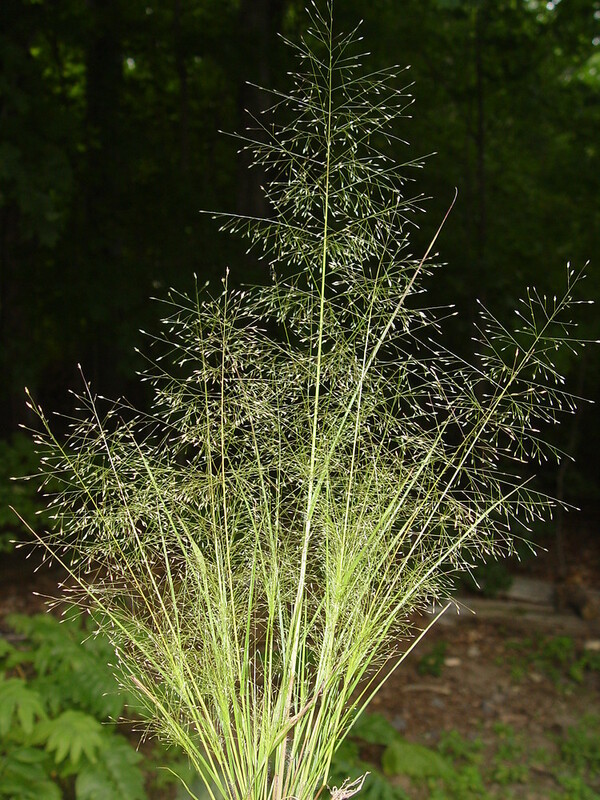 Eragrostis capillaris plant in bloom. By Donald Cameron. Copyright © 2018 Donald Cameron. New England Wild Flower Society. gobotany.newenglandwild.org (Accessed 5/2018). Eragrostis capillaris is an annual C3 grass (Basinger 2002) 20-50 cm, tufted, often lemon scented, stems erect, branching only at base; sheaths overlapping, membranous, more-or-less smooth. Leaves alternate, long, 0.2-0.4 cm wide. 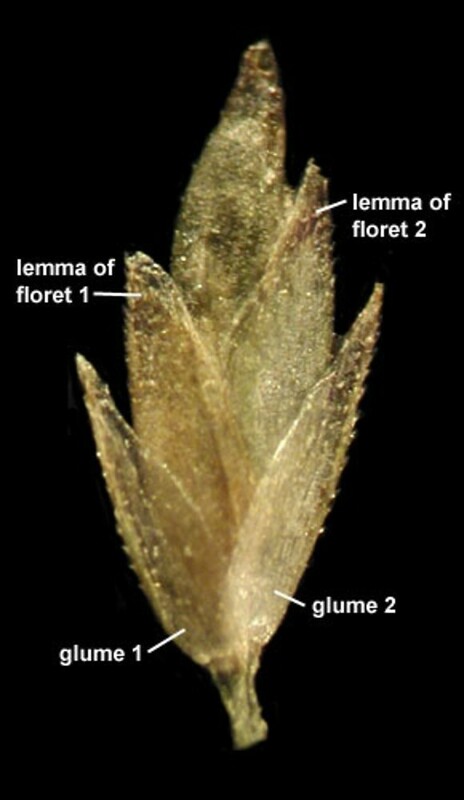 Eragrostis capillaris spikelet. By Anna Gardner. Copyright © 2018. Ada Hayden Herbarium – Iowa State U. New England Wild Flower Society. gobotany.newenglandwild.org (Accessed 5/2018). Flower spikelets 0.2-0.3 cm long, 0.1-0.2 cm wide, 2-5 flowered, dark gray, on filamentous stalks to 0.5-1 cm long; inflorescence large, diffuse, 10-30 cm long, 7-20 cm wide, as much as two thirds the height of the plant, branches slender; blooms and fruits July-Oct.
Habitat: Dry sandy soil, open woods.